We’re well into the holiday season! This is the perfect time to light the fireplace and pour yourself something rich and creamy—and spiked with booze! But instead of just grabbing a carton of eggnog at the grocery store, why not try a different holiday punch this year? These three recipes will hit the spot, put you in the holiday spirit, and are perfect accompaniments to curling up under a blanket to watch a movie. 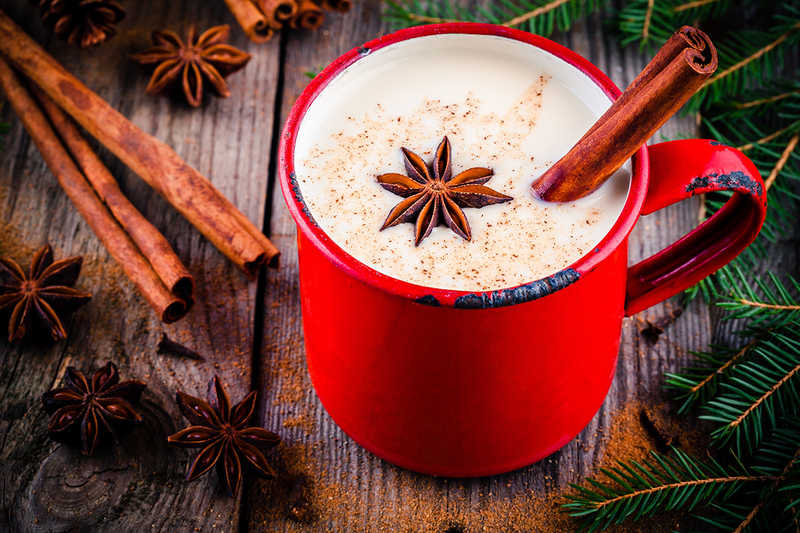 Whether you’re a traditionalist singing along to “White Christmas” or “Elf” is more your speed (I’m partial to “Die Hard” myself), these winter beverages are certain to provide cups of cheer for you and your guests. Difficulty: Easy and quick. Bonus points for being easy to double/triple/quadruple your batch. Spirits to use: Bourbon or a mix of brandy and bourbon, traditionally, but feel free to use rum here. My first introduction to this drink came on one of many trips to New Orleans. As it was the summer, this was served to me frozen, but can also be served with crushed ice. For the winter, making this a hot drink is easy-peasy. I can attest with no hesitation that both hot and cold versions are equally delicious. You may choose otherwise, but I’ll stick with what I had the first time, which is also the name of the street where it was consumed: Bourbon. In a saucepan, whisk milk and sugar until well heated, but make sure not boil. Turn off heat. Pour bourbon to the pan. Whisk to blend. You want the milk to look frothy (tiny bubbles). Pour into warm mugs* and dust with nutmeg. *Warm mugs by pouring hot water into them. Dump just before adding drink. Difficulty: Easy, but needs to chill overnight. Plan ahead. Spirit to use: Rum. Which style to use will be a personal preference. White, gold, spiced, aged, overproof? All up to you. We’ll stick with Puerto Rican brands. Aged rums do the trick for us adding just enough depth to give the Coquito some backbone. Being served this at a friend’s Christmas party in Manhattan was a revelation and it kicked my eggnog habit to the curb. For those unfamiliar, Coquito is a Puerto Rican alternative to eggnog using coconut milk and often Coco Lopez or cream of coconut along with rum. 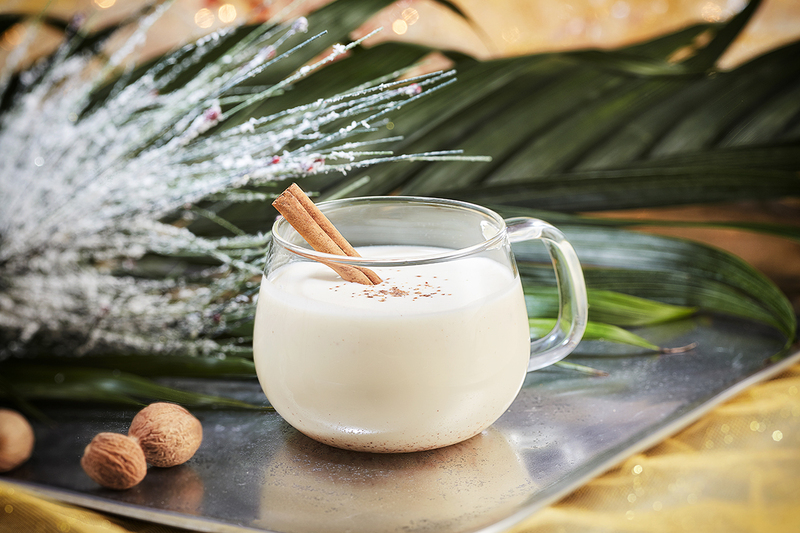 Typically, large batches are made and filling empty wine bottles with Coquito to give as gifts is common. Some recipes use eggs, but this recipe (of which there are many), does without. Additionally, you can create this without using any dairy at all by substituting the evaporated milk for another can of coconut milk—calling all lactose-intolerant and vegans! Note: If you’ve really got a sweet tooth, you can add a can of condensed milk to the batch, but the Coco Lopez has quite enough sweetness for me. Using a hand-mixer or immersion blender, blend all ingredients together until well combined. Pour into large enough container (cleaned wine/liquor bottles or pitcher) and refrigerate overnight. Coquito will thicken. Pour and serve chilled. A dusting of cinnamon is optional as a garnish. Difficulty: Moderate, but you can make the batter earlier in the day for ease of preparation. Tom & Jerry’s have made their way back to some bars in recent years, particularly those with Christmas-themed menus. 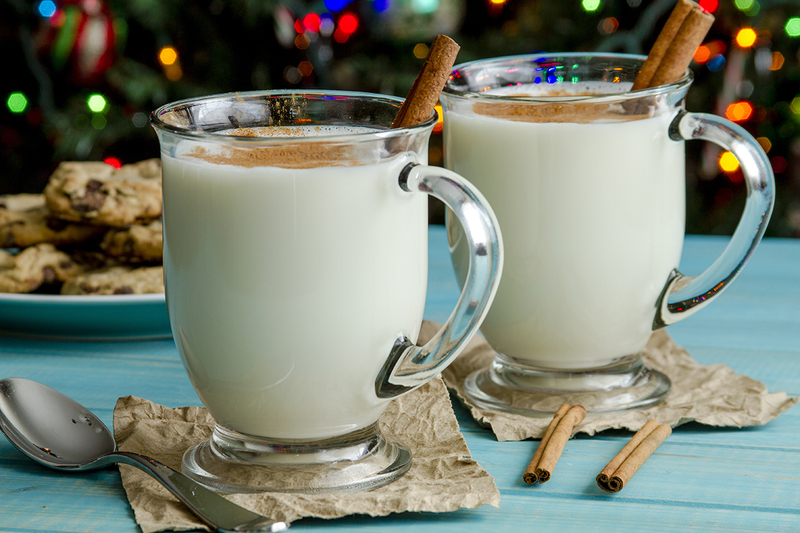 But there were pockets of the country—notably Minnesota and Wisconsin—where this drink reigned supreme over eggnog throughout the 20th century. This hot drink was so popular, there were Tom & Jerry punch bowls and mugs designed specifically in honor of the beverage. Tom & Jerry the cartoon came much later than the origin of this drink. It was Pierce Egan, a British journalist who was said to have invented the drink c. 1820. He named this beverage after a couple of characters in his book and subsequent play of the same name—all done to publicize his work. Note: Plan on one 750ml bottle each of rum and brandy per batch. We’re partial to Plantation XO 20th Anniversary and H by Hine VSOP Cognac. First, you will make the batter. This can be made a few hours before your guests arrive and kept in the refrigerator. Separate the eggs, keeping egg yolks in one bowl and egg whites in another. In the egg yolk bowl, blend the sugar in 2-3 batches until well incorporated. The yolks will be a pale yellow. Then add 1 oz brandy, the spices, and vanilla, and blend. Next, whip egg whites with cream of tartar until you have firm peaks. Fold egg whites into egg yolk bowl incorporating the two. If not serving right away, you can put batter in the refrigerator at this point. When ready to serve, add 2 tbsp of batter to bottom of warm mug*. Add 1 oz each of brandy and rum. Pour hot milk to fill the mug. Gently stir. Grate nutmeg on top and serve. Like many drinks of this nature, recipes vary widely so use ours as a guide. Feel free to adjust to your tastes. Looking for the right spirit for your holiday punch alternatives?